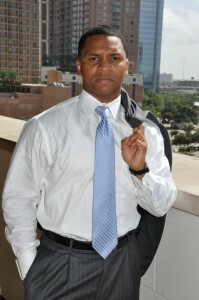 The firm’s principal is a native of New Orleans, Louisiana. Mr. Refuge graduated high school from Eleanor McMain Secondary School. He holds a Bachelor of Business Administration degree in Finance from the University of Houston and a Master of Science degree in Management Information Systems from Houston Baptist University. Following graduate school, he worked 12 years at ExxonMobil Corporation (XOM) in Houston, Texas, leading global IT project deployments. In his final role with the company’s law department, he developed an affinity for the legal profession and was inclined to attend law school. He completed his legal studies, earning his Juris Doctorate degree in 3-1/2 years, attending classes part-time in the evenings, while supporting XOM attorneys and the company’s IT eDiscovery needs during the day. Mr. Refuge has negotiated residential & commercial real estate purchase, sale & lease deals for clients, as a real estate broker (REALTOR) over the past 20+ years. He started his legal career as a shareholder with Williams Refuge & Mickey, PLLC (WRM) and fee attorney with American Title Company of Houston, where he has provided title reports & opinions. During his tenure with WRM, he served as a landman for Cinco Energy Services, having provided curative, title searches and oil & gas lease reviews. He has served as an arbitrator with the Texas Comptroller’s Office, having arbitrated ad valorem & property tax disputes between appraisal districts and homeowners/businesses across Texas. His current and past clients have included small business owners, start-ups, homeowner associations, radio station managers, and real estate investors.